ThemeParkMama: 5 Classic's from Disney are Coming to Blu-ray August 12th! 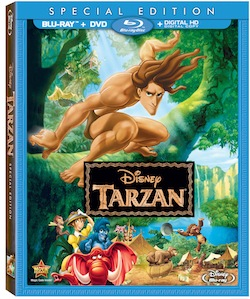 5 Classic's from Disney are Coming to Blu-ray August 12th! Tazan I remember when this movie first came out I was a teen and I thought it would be so lame because its a strange guy walking on all fours. After seeing the movie I wish I had seen it sooner and it soon became one of my favorite owned Disney movies. 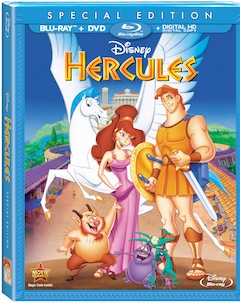 Hercules now this is MY FAVORITE Disney movie, besides the whole series of Tinker Bell : ) But really I love this movie I am not sure as to why I guess because of its fun entertaining way it carries itself. Your never bored watching it. Also Greek Mythology was probably the only History like subject I could get through in school. 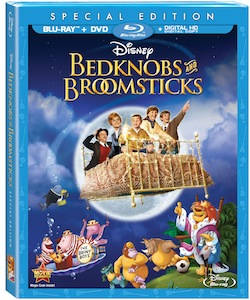 Bedknobs and Broomsticks a family movie which really gives a true meaning of family value. A movie which has been around for ages and still makes children laugh. I remember watching this movie while young so I am looking forward to purchasing this to share with my own kids. 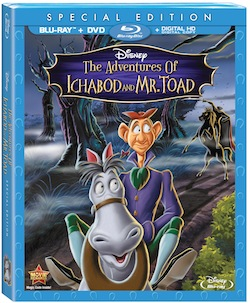 The Adventures of Ichabod and Mr Toad great timing for this release with Halloween coming up fast. 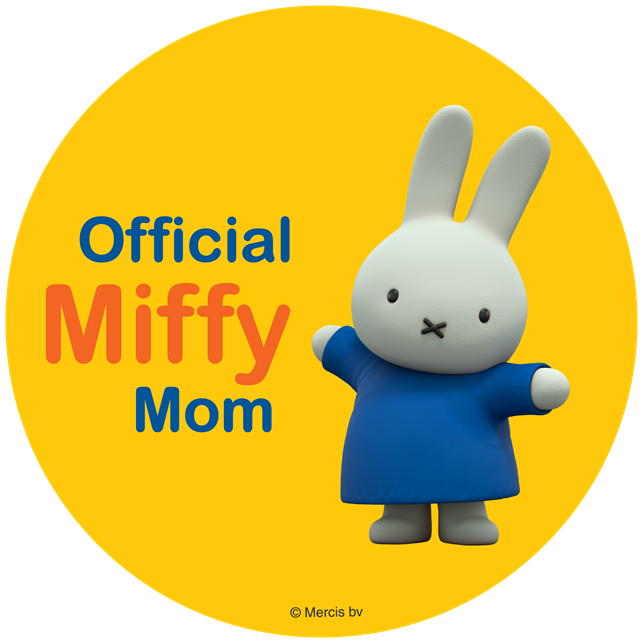 This is a great movie with a collection of tales which will surly have your kids on the edge of their seats. If you watch Disney Channel you know this movie, if your human you know of the Three Musketeers. 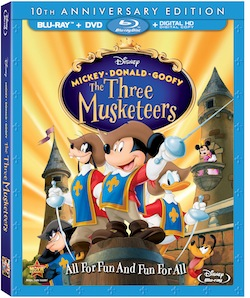 This is a fun twice which stars Mickey, Donald and Goofy as The Three Musketeers. A movie which the 3 help to save the princess and take back the kingdom and fun tail which you will love sharing with the family. Look for all these classics to hit shelves of your favorite retail stores August 12, 2014.